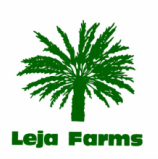 Leja Farms remains dedicated and committed in providing farm fresh dates from our family to yours. Farming has been a way of life in the Leja/Haskell households for four generations. With the love of farming in their hearts and a background in cotton, hay, barley, and wheat, Pat and Glenda (Haskell) Leja moved their young family north to the Coachella Valley from El Centro in 1960. They purchased a small home amidst 20 acres and shortly thereafter planted their first date offshoots. Leja Farms began! Pat was a “gentleman farmer” while selling insurance for New York Life. There, he catered to a farming clientele who encouraged his passion. He continued to nurture his small field and slowly began to acquire additional acreage. Pat’s son Greg returned to the ranch after graduating from the University of Colorado in 1979. Strengthened by his presence it was not long before the Father-Son duo was farming full-time. As the acreage and fruit production increased, and with the addition of their own packing facility, it became evident that Leja Farms was making its name known in the industry. Continuing in the family tradition Greg remains committed to grow a superior product while adapting to the changing needs of the profession. He manages the day-to-day operations overseeing everything from the farming operations to wholesale and tree sales. In the same day it is not unusual to find him driving tractor in the field, forklift in the packing shed, and truck delivering a load of fruit. 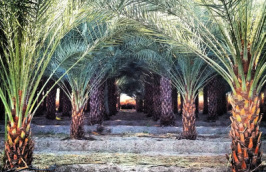 His hands on efforts prove themselves as he grows dates that surpass the industry standard. Not much has changed over the years in the actual process of farming dates, but what have improved are the application processes and the ability to farm more ecologically friendly. With the near absence of pesticides and the introduction to more natural fertilizers Leja Farms is proud to grow a more environmentally friendly product. With the addition of a solar generated electrical system, it is their intention to be ‘off the grid’ in the near future. Greg’s wife Cheri provides their loyal mail-order customer’s dates throughout the season and their two daughters keep the ranch current in the technological and social media venues. Rounding out the operation is Pamela, Greg’s sister whose business expertise and behind the scene knowledge and support is unparalleled. Farming is not only a profession for the Leja Family it is a way of life. Each family member associated with Leja Farms live on a date grove. Pat and Glenda remain on the "home ranch" living amongst the palms and most certainly enjoying the "fruits" of their labor. Leja Farms works tirelessly in preserving the family's commitment to producing only the finest quality dates. Greg prefers quality to quantity and this proves itself annually with a sold-out harvest. This is accomplished in part with a loyal support staff, some who have worked for the farm for over 35 years. With this close at heart and a product that bares their name, Leja Farms remains dedicated and committed in providing farm fresh dates from our family to yours.